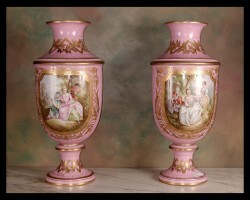 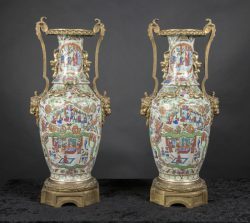 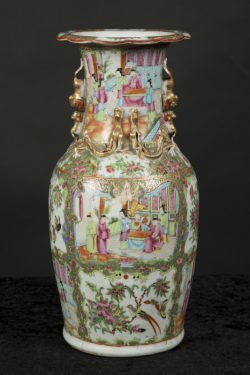 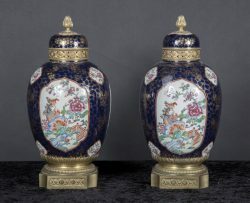 Pair 19th century covered Chinese jars with bronze bases and finials. 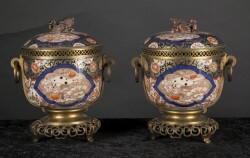 Pair of 19th century Japanese Imari vases with bronze mounts and Foodog handles on finely decorated lids. 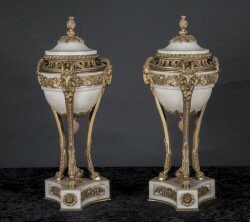 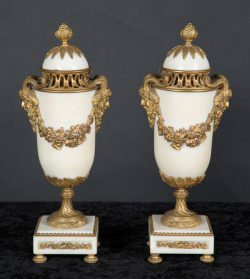 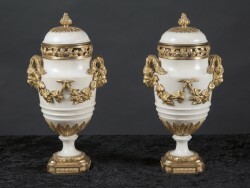 Pair of French 19th century Louis XVI white marble casolettes with elaborate feet of white marble and bronze, richly adorned with bronze horned head of Bacchus on sides; garlands of grape vines on front and back , with finial that is a bunch of grapes on each marble top, attached with sunburst.